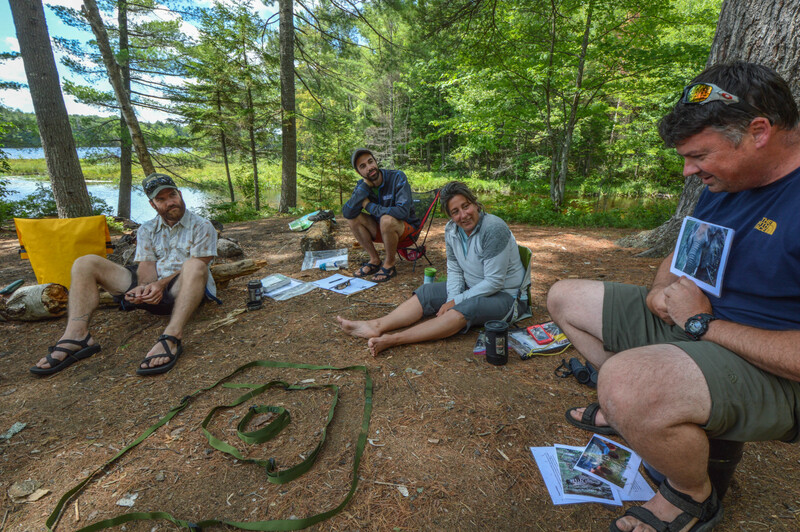 ADK (Adirondack Mountain Club) is one of ten national providers of Leave No Trace Master Educator courses. ADK also provides Leave No Trace Trainer courses, as well as offering Leave No Trace Awareness Workshops. The Trainer Course is a vital component of the nationwide Leave No Trace program. You will receive training in Leave No Trace skills and ethics in this two-day course. Trainer Courses assist participants in learning more about the seven principles of Leave No Trace and techniques for teaching these low impact skills to others. Overnight accommodations will be provided in a heated yurt at the Heart Lake Program Center. Cost: $135(members receive 10% discount); includes instruction, meals and use of group gear. This five-day course is designed for individuals who are actively teaching others backcountry skills or providing recreation information to the public. Through classroom discussions, lectures and a four-day backpacking or canoe trip, this course will cover the seven Leave No Trace principles and discuss wildland ethics, as well as give the participants the tools and techniques for disseminating these low-impact skills to other users of the backcountry. Participants could include a mixture of federal agency partners, educators, outdoor retailers, youth group and outing club leaders, and other individuals. Upon completion of the course, you will be qualified to teach Leave No Trace Trainer courses. The Leave No Trace Master Educator qualification is recognized and valued throughout the outdoor industry. Cost: $699 (ADK members receive 10% discount), Course fee includes instruction, curriculum and teaching materials and a one-year Leave No Trace Individual Membership. One night’s lodging in ADK’s Yurt Village, meals, group equipment, and transportation during the course are also included. If you have a group of at least 6 people who cannot attend a currently scheduled course, contact ADK about setting up a custom Master course. You pick the dates, location, and help set up logistics, and we’ll offer the course at a discounted rate to your group. All courses consist of one classroom day and four days in the backcountry (not overly strenuous but requiring some experience and good health). Successful completion of the Master Educator course qualifies you to offer and teach two-day Leave No Trace Trainer courses and Leave No Trace Awareness Workshops. Course fee typically includes instruction, teaching materials, lifetime subscription to the Leave No Trace Tracker, one-year Leave No Trace individual membership, first night’s lodging, all meals, and group camping equipment. Pricing may be adjusted based on what’s provided by ADK and by the host organization.